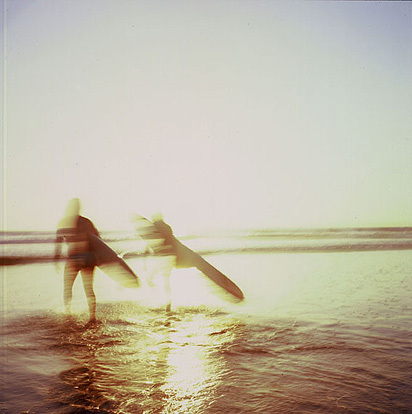 California surfer, photographer, writer, and filmmaker Elizabeth Pepin Silva grew up playing along California's coastline. 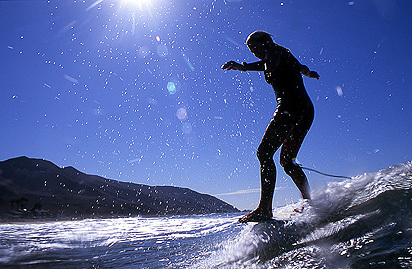 She learned to surf in 1986 and has been capturing the surf scene in the US, Mexico and Europe from both land and in the water since 1997. 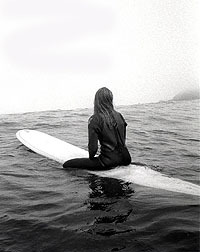 Her unique and realistic images have appeared in numerous museums, galleries, newspapers, and magazines, and in five books on women's surfing including: Surfing: The New World Order (Duke University Press 2010) and Surfing: Women of the Waves (Gibbs Smith Publishers 2008). Elizabeth's first book as an author, Harlem of the West: The San Francisco Fillmore Jazz Era was published by Chronicle Books in 2006. She has also has won five Emmy Awards, and numerous international film festival awards for her documentary film work, including One Winter Story, an hour-long look at the life of big wave surf pioneer and scientist Sarah Gerhardt. Unlike most photographers these days, Elizabeth still mainly shoots B&W and color film, and works in a darkroom to create her prints. In the past few years she has strayed away from conventional photography and has begun to explore alternative film stocks and processes. Elizabeth is constantly fascinated by water and the people who are attracted to it, which is reflected in her films and photographs. The ever changing light and mood of the water, the unique connection people have to the ocean, the challenges of shooting in such environments; she could film and photograph near water every day for the rest of her life and be very happy. 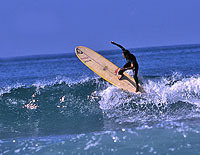 She currently lives in Ventura County, California, with her husband David and their orange dog Keala.